Google Business View is an interactive virtual tour that gets published on Google Search, Google Maps, and Google. It is truly one of the best ways to help your business standout, drive traffic to your website and bring more people into your business! Go360 team of Google Trusted Photographers are trained to make your businesses stand out online through the Google Business View experience. This enhances your Google listing and influences potential customers decision making, with their very own 360-degree virtual tour across Google. Google Business View is a great way to get more busines through Google. 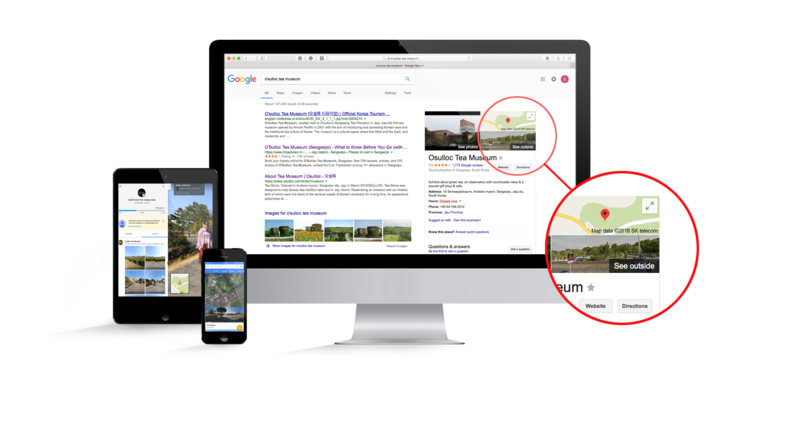 Google Street View will manyfold increase your presence on Google, whether customers are looking for your business through Search, Maps or Street View. Google search results for your business will invite visitors to ‘See inside’ your businesses, encouraging them to have a look inside and bring them closer to you and your business. Your 360 degree virtual tour is hosted on Google server. Visitors can have a more immersive experience by using VR Headsets like Google Cardboard, Samsung Gear VR, Oculus Rift etc. Hiring a Google Trusted professional photographer from Go360 can cover your business location in a highly professional way can entice potential customers to choose your business. Portraying your business in real Google 360 virtual tour can increase the trust and confidence in your business and in turn increase your customer base. Not on Google! You are missing a great share of your business! Google Business View is a unique and effective way to portray your business online. In this competitive world, your business will be listed across Google search and Google maps increasing the chance of attracting more visitors to your business.